Learn how AppAssurance can help you test your analytics and other SDKs on your mobile app. Learn how a national newspaper in Canada used ObservePoint's WebAssurance to keep data from being lost. Fill out the form for a free case study. Learn how a leading office supply company uses WebAssurance to their advantage. Fill out this form to receive a complimentary case study. This article talks about the differences between an audit and a simulation. Learn the unique role of each and when they should be used to achieve better data quality management. Learn how Lima Consulting tripled their efficiency by auditing analytics tags with ObservePoint.  Fill out the form for a free whitepaper. Tag auditing is a step in the right direction towards tag governance, allowing you to verify your web tags are all present and firing as you expect them. Set up notifications whenever an audit or journey fails so you don't have to dig into your reports any time a rule fails. 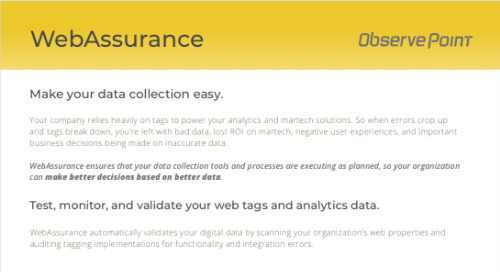 Learn about ObservePoint's complete suite of tag governance solutions to help you validate your analytics and marketing implementation.